It is very, very exciting to be part of an exhibition opening on October 5th at UNA Gallery in Portland, OR, titled artlikelifelike. It is a group show of works by the artists associated with WAMER (Women Artists Meeting Eating Reading) - a studio and reading group that I have been part of for almost twenty years. Although our work is all quite different from each other, there is a familial relationship, a thread of intimacy that runs through it all. As far as I am concerned, there is nothing that I can call my work without acknowledging the impact of WAMER. For the exhibition, I have created two new pieces. 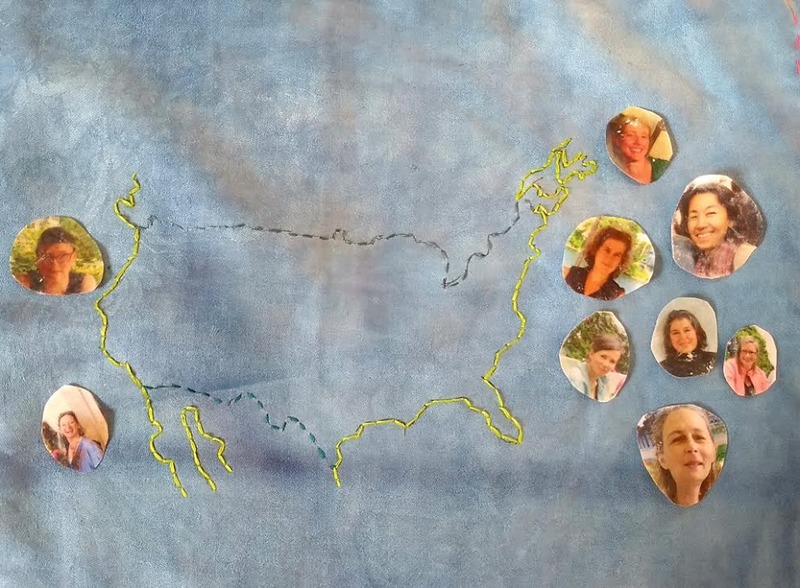 One is an embroidered map of the group that depicts all our connections. The other is a quote - a line from the epilogue of Middlemarch by George Eliot - that I have made in plastic canvas. I have an idea to make another piece that will go in the gallery's bathroom but I don't think that I will have time. More's the pity. Maybe we need several more group exhibitions. If you are in Portland, I hope you will check it out. The show runs through October 28th.